When Jelena Obrenic landed in Stockton, Calif., in July of 1991, her world was turning upside down. A month before, Slovenia and Croatia had declared independence from her home country, Yugoslavia, triggering several violent years of civil wars, ethnic conflict and the final collapse of Balkan Communism. It was her 18th birthday. She was alone in a new country as an exchange student, with $500 to her name. The next day, she did something that would shape the future path of her life more than she knew. “I opened up a checking account on my second day in the United States,” she says in a recent interview. 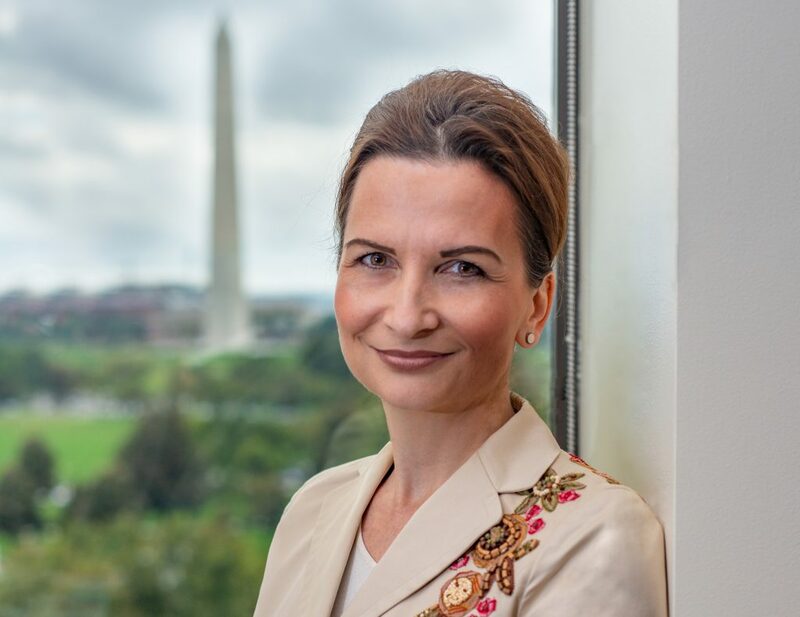 Nearly 28 years later and now known as Jelena McWilliams, she has a very different vantage point on U.S. banking—namely, the view of the Washington Monument from the corner office at the Federal Deposit Insurance Corporation. The young Serbian woman who arrived in America as an exchange student with $500 to her name is now the chairman of the agency that ensures the safety and soundness of America’s $13.4 trillion in deposits. After finishing that exchange year in Stockton, she enrolled at the University of California at Berkeley. Initially planning to study astrophysics, she switched to politics and famously paid her way through school with a series of minimum wage jobs, including selling Cutco knives. She went on to law school at Berkeley, and then became a corporate securities lawyer, working on M&A deals. Banking regulation was not on her agenda. In 2004, she attended a conference in Washington, D.C., and she “fell in love.” “This is where I need to be,” she remembers thinking. “I looked for a transfer at my law firm, and the irony was my law firm at the time only did financial services in D.C. And I said, ‘I’m a securities lawyer. Who wants to do that?’” She switched to a different firm, and with her daughter—now 17—moved to the nation’s capital. Three years later, she began thinking about a job making regulatory policy. “I really wanted to be on the other side,” she reflects. “As somebody who grew up in a system that did not respect the rule of law, it was important to me to understand, ‘In a free and open society, how do we make laws?’” One night, she applied on the USA Jobs website for a job as a regulatory attorney at the Federal Reserve. She got a call the next day, interviewed, and went to work within two weeks—possibly the most efficient U.S. government staff hiring process of modern times. “That never happens!” she laughs. In 2010, McWilliams made the switch to Capitol Hill, where she quickly found a home on the staff of the Senate Banking Committee under Sens. Richard Shelby (R-Ala.) and Mike Crapo (R-Idaho). As chief counsel and deputy staff director, she worked closely with Shelby on regulatory relief legislation during his most recent stint as chairman of the committee. As McWilliams worked on banking regulations at the Fed, on Capitol Hill and in the banking sector, it became increasingly clear to her that many of the post-crisis measures passed in the Dodd-Frank Act went too far in restricting the financial sector. She describes a “floor” that represents a level of capital needed for safe and sound banking and a “ceiling” that reflects regulation so excessive that banks cannot lend—and she worries we’re closer to the ceiling. 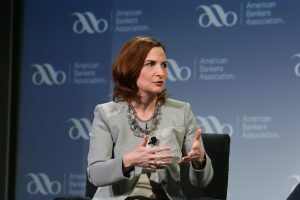 Under McWilliams, the FDIC is busily implementing provisions from S. 2155, the bipartisan regulatory reform law—among them, an American Bankers Association and state association-advocated measure that will replace the complex Basel III calculations with a simple leverage ratio for highly capitalized community banks. “Basel in general should not be applicable to community banks,” says McWilliams. “We have made it very complicated for banks that are not.” This ratio was proposed at a 9 percent level in November. The FDIC is also working with the OCC and the Federal Reserve to review public comments on the OCC’s advance notice of proposed rulemaking on the Community Reinvestment Act, she says, and the three agencies are working together on a formal proposal. McWilliams has already focused on two issues that will define the future of the industry: de novo banks and technological innovation. The lack of de novos—with just a handful since Dodd-Frank was passed—has accelerated an already rapid consolidation trend, and there are now less than 5,600 U.S. bank charters. “The regulatory burden for a new bank is very high,” says McWilliams, which she says is a principal reason why investor groups have focused more on purchasing existing banks. But acquiring an existing entity brings “baggage,” she says, whether it’s corporate culture or past compliance issues. At a de novo bank, “you can do your own technology the way you want to do it. You don’t come with preexisting compliance burdens and baggage from multiple acquisitions in the past, and you basically get to set the culture and business model the way you want it,” she adds. “We’re trying to encourage exactly that, where people are looking at banks as viable business models, especially in communities that don’t have a lot of banking presence.” Under McWilliams, the FDIC is seeking to make the de novo process clearer and more collaborative. She is quick to note that banks have always been on top of technology trends in delivering products. She tells a story about that checking account she opened on her second day in America—one she still has. Back then, the mailed periodic statements would include spotlights on customers who had accounts for 25 years. “This was before Gramm-Leach-Bliley and the privacy concerns were not as big,” she chuckles. “I thought, ‘maybe someday they’ll have me on the 25-year list.’” But when that milestone passed, she observes, periodic statements were no longer mailed, and she tracked her account not through a check ledger or monthly statements but with real-time updates on a mobile banking app. One step toward that is her “Trust through Transparency” initiative. 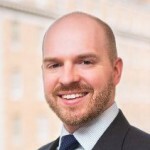 At McWilliams’ direction, the agency is posting key performance metrics on its website, including application approvals, denials and withdrawals (including for de novo banks); time to process applications and exam reports; responses to consumer calls and emails; deposit insurance assessments and appeals; Freedom of Information Act requests; and failed bank resolution statistics. McWilliams also says that she is “looking to strengthen the ombudsman and bank appeals process at the FDIC.” Bankers have long expressed concern about the lack of independent exam review procedures. “Banks need to have a good channel of communication when there are disputes and they’re in disagreement with their regulators, and that’s one of the issues we’re going to be looking at,” she explains. Asked about whether these reforms might include an independent appeals channel outside of the agency reporting structure, as bipartisan ABA-backed legislation has called for, McWilliams says that “everything is on the table.” The agency will seek public feedback on any changes, she adds.